Garutiite: Mineral information, data and localities. Ni-analogue of hexaferrum, hexamolybdenum, osmium, and ruthenium. Graph shows reflectance levels at different wavelengths (in nm). Top of box is 100%. Peak reflectance is 68.0%. Mineralogical Museum of Leoben, Austria (catalogue number 8241). The holotype (the crystal chosen for the X-ray powder diffraction work) is housed at the Canadian Museum of Nature (CMNMC 86089). 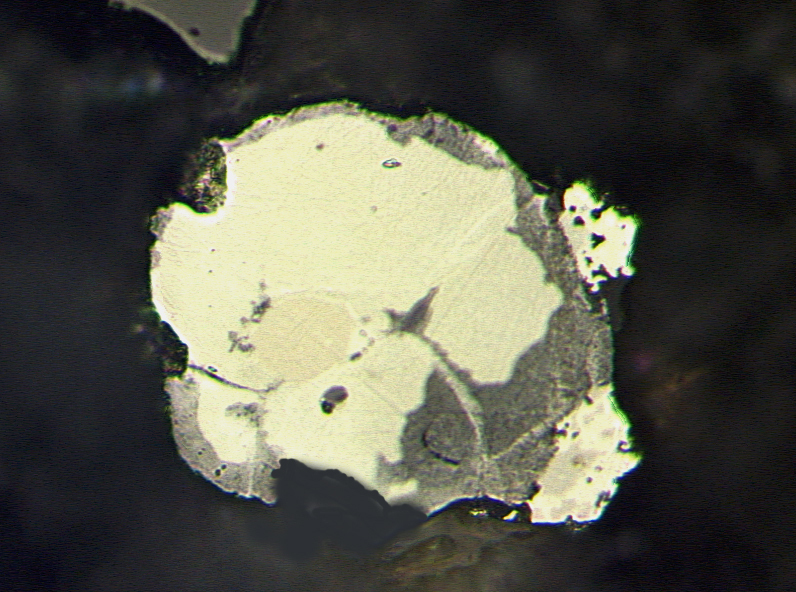 small lensoidal bodies (,2 m) of chromitite were found associated. They are randomly distributed, typically occurring as discontinuous pods or lenses within small masses of serpentinized dunite that are in turn hosted by serpentinized harzburgite. Zaccariniite 1 photo of Garutiite associated with Zaccariniite on mindat.org.